Steem Monsters Daily Quest I got two Legendary Unicorns! A few minutes ago I completed today's Steem Monsters quest where i was supposed to use my fire splinters. 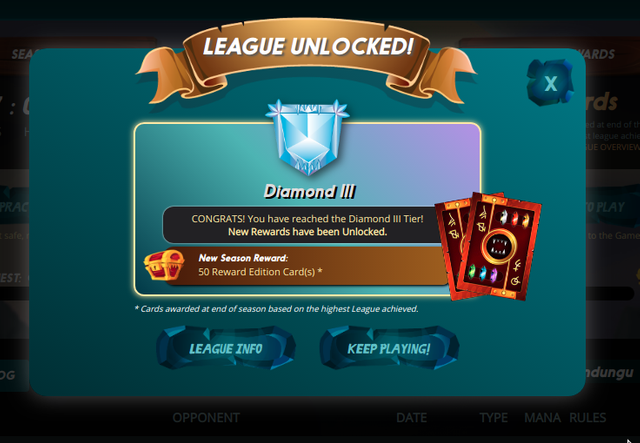 It was challenging because i was battling to maintain my Diamond 3 League status at the same time complete my Daily Quest as soon as possible. 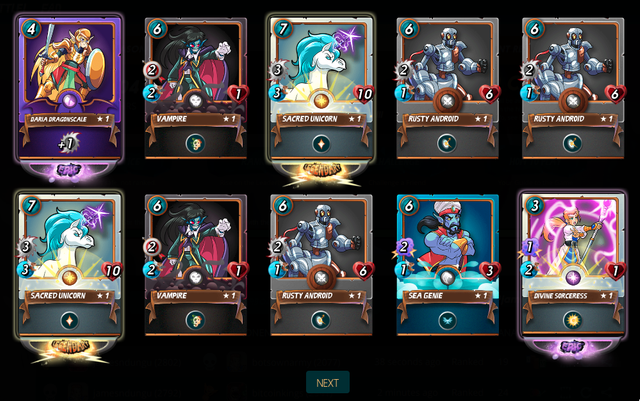 On today's Quest rewards I got 15 Reward Cards which contained 2 Legendary Unicorns, 5 Rusty Androids, 2 Vampires, One Sea Genie, One Divine Sorceress, One Hobgoblin, One Wood Nymph, One Phantom Soldier and Lastly a one Epic Daria Dragonscale. If you would like to get yourself some steem monsters, Get some steem monsters here using steem, SBD or VISA Card or check out my latest giveaway post. I give out steem monsters cards every season on my giveaway posts so make sure you follow me @jamesndungu which is the same handle you can challenge me with on steem monsters. @jamesndungu - Is a Steemit blog where I analyze perspective ICOs and share my Steemit adventures. I imagine an educative channel of communication into the crypto world that educates people how crypto projects works and the problems they are solving. I write contents that makes my readers comfortable with blockchain technology by giving them a complete overview of blockchain projects using terminologies they understand instead of the technical details they encounter in projects whitepapers. Follow along and get real, no-hype, honest advice from someone who walks the walk and truly wants to help others. Question about Africa Crypto Community Upwork GIG Authentication. Why do you play this game with so much enthusiasm? I feel like I've been playing multiplayer shooters for a while now such as Call of Duty and PUBG and its time for a switch. As a blockchain fanatic, I'm content playing blockchain games, I feel like I'm waiting on Cyberpunk 2077, or the next Elder Scrolls, or something which is powered by blockchain and we can get some rewards as we play. Alright. I feel having to buy every card kills it for the non-rich gamers. There are over 550K Cards being given for FREE as rewards on Daily Quests, I believe this is the cheapest game compared to other games - to start participating in Daily Quest where you can get up-to 100 cards per day so that you can level your cards or sell them on the market. You only need $2 for a starter pack (30 Cards) - This money is used for game development and holding Tournament where players earn rewards - You can term it as an Initial Cards Offering. You just got a 1.74% upvote from SteemPlus! Hi. I am part of a group that are trying to increase the number of minnows by 250 this month. Your name has come up for being close to the 500SP mark needed to qualify. If you are interested in the project let me know and I will tell you what the next step is. We are hoping to give a push to committed users that are near the 500SP mark and willing to work with us to get there. I hope to see a reply from you so that we can give you that bit of help to reach the next level. Congratulations @jamesndungu! You received a personal award!